Fr. 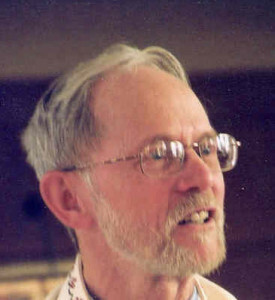 Bob Holmes, a Roman Catholic Basilian priest and teacher, has been active in social justice ministry for several years, involved in Christian Peacemaker Teams all over the world, including Israel/Palestine, Colombia, Uganda, and Iraq, to name a few. He is joined by Amos Gvirtz, an Israeli Peace Activist from Kibbutz Sheffayim, north of Tel Aviv, who is founder of Palestinians and Israelis for Nonviolence and a chairperson for the Israeli Committee against Home Demolitions. Together they will be informing us of their experiences in Israel/Palestinian, particularly with regards to the illegal home demolitions that have been displacing indigenous Palestinians for decades. This event should be especially relevant if you’d like to learn more about the student-led efforts to get ASU to divest from Caterpillar, particularly for student leaders. It’s important to hear all sides of an issue, and this is a chance to hear two engaging voices with first-hand experience. These issues truly do affect all of us in a myriad of ways, and it’s important to develop an informed opinion. This event is sponsored by Students for Justice in Palestine. 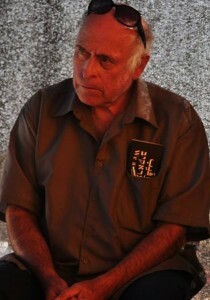 Mr. Amos Gvirtz: Amos Gvirtz is an Israeli Peace Activist from Kibbutz Sheffayim, north of Tel Aviv. He is founder of Palestinians and Israelis for Nonviolence, a former member of the Steering Committee of the International Fellowship of Reconciliation (www.ifor.org) and chairperson of the Committee Against Home Demolitions (www.icahd.org). In 2001 he initiated the founding of The Recognition Forum which is an organization which advocates for the rights of the Bedouin communities living in unrecognized villages in the Negev Desert of Southern Israel. In 2006 he began writing short weekly reports about violations of human rights in the Occupied Territories and in the Negev, under the name “Don’t Say We Did Not Know”. Mr. Gvirtz has a Facebook page where many of his writings are posted. Fr. Bob Holmes: Bob is a Roman Catholic Basilian priest/teacher, who has been active in social justice ministry for several years. He is the Basilian Coordinator for Peace & Justice and heads up the Basilian Centre for Peace & Justice in Toronto. Since January 2000 Bob has been a member of the Christian Peacemaker Teams (CPT) and has served in Canada, USA, Israel/Palestine, Chiapas, Vieques, Colombia, Uganda, Congo, Iraq and Kurdistan. He is currently a member of the CPT Palestine Team. Information on Christian Peacemaker Teams: Christian Peacemaker Teams have their origins in the traditional Christian Peace Churches – Mennonites, Brethren and Quakers. Today Catholics and Protestants of all denominations are found on CPT teams. CPT is founded on the Biblical teaching of Jesus that his followers must seek justice for the oppressed and love their enemies. It is the Gospel of Jesus Christ that calls us to be Peacemakers. We believe that Jesus’ disciples are called to stand with the poor and oppressed and to actively intervene in ways which can promote God’s justice, God’s peace, and reduce the violence suffered by the poor and oppressed. We believe that violence and war can never bring about a just peace, that the means used in the struggle for justice must reflect the goal envisioned – a peace where the enemy is not defeated but transformed into a friend. CPT was founded in English-speaking North America but now has international membership and is present and active throughout the world. CPT stands in solidarity with unarmed victims of violence. We offer accompaniment to threatened communities, organizations and individuals in the hope that our presence will reduce the level of violence. We encourage and stand with the victims of violence who struggle non-violently for peace and justice. We publicly denounce violations of the rights and dignity of those we accompany. We confront those in the US and Canada who export violence through the manufacture and sales of weapons. We confront our political leaders, demanding that they cease all forms of military aid, and focus instead on humanitarian aid. For more information on CPT, please click here.